This has a dramatic effect on your bike’s steering capabilities and is worth considering before you choose upgrading or not. Steering becomes lighter and easier with the right weight of handlebar, and this can make a big difference in a race or endurance ride. Upgrade from steel to carbon fiber and feel the difference in comfort. Carbon is not only a lot lighter but it also has compliance properties, which means that while it’s rigid and strong, it can effectively absorb or dampen vibrations and impact better than a lot of its steel bar counterparts. The width of your handlebars can also make a great deal of difference in how your bike performs overall. If you want more control of your bike’s speed, then you need wider handlebars, but if nimble performance is what you need, then your best bet is to go with a narrower set of bars. The right handlebar can add stability and control, and technical precision, making your bike easier to handle. Swapping your handlebars from those tired old ones to more effective ones doesn’t have to cost a lot, but it’s well worth the effort for all the benefits you will receive. Changing your handlebars is an extremely affordable upgrade that will last you for years to come. In this review, we detail 10 of the handlebars for your mountain bike to make the choice easy for you. 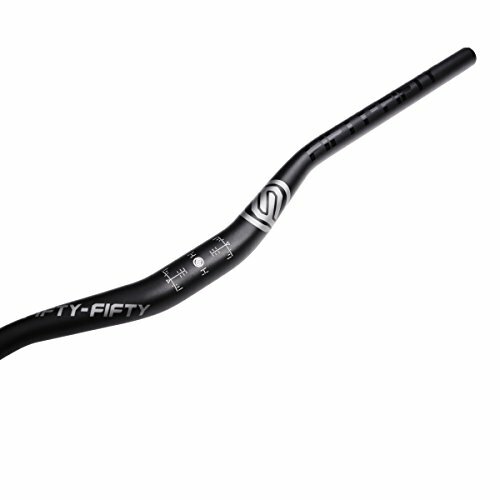 These particular handlebars are constructed from super-light unidirectional carbon fiber. They have a trail spec of 740mm and weigh in at just 180g. Although the width may not suit everyone, it gives excellent leverage and control making it great for trail, XC disciplines, and enduro. In our opinion, the RenthalFatbar Lite Carbon manages to strike an amazing balance between comfort and rigidity and handles trail buzz extremely well. Renthal did really well for its first undertaking into the world of carbon! Fatbar Lite Carbon is durable and the number one option for all serious riders. Because the rise choice is a matter of individual preference, RenthalFatbar Lite Carbon handlebars come in 10, 20, 30 and 40mm rise options. This lets you tune in your position to your riding style, bike type, and individual taste. To top it all off, this handlebar has a matt finish and really nice permanent graphics that come with set up grid and cut marks. All in all, the Fatbar Lite Carbon is the ultimate handlebar that is designed specifically to give you the stability, strength, and confidence to tackle those steep, rugged trails. None yet, but we’ll keep you updated! 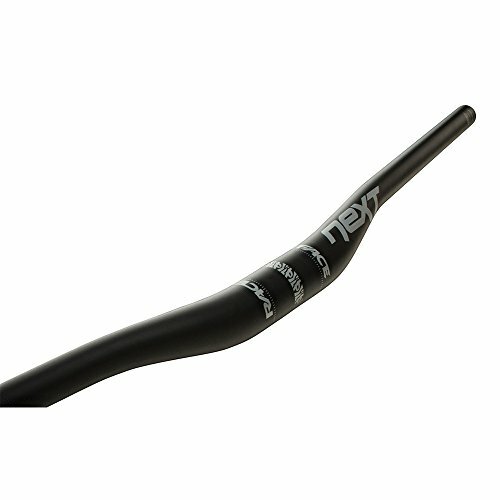 Made from UD carbon with a matte clear coat, this handlebar is best suited for XC or trail. It comes with a 20mm rise. This brand is well-known for always producing quality products, and they didn’t disappoint this time either. Because of the increase in the bar diameter (to 35mm) Race Face was able to shave material off of the bar culminating in an impressive reduction in weight. Not to worry, though. The handlebars still retain their strength, stiffness and performance. The Race Face Next bar expands to a width of 760mm which increases control without forfeiting the light-weight nature of the handlebar that so many customers have come to love. One customer, in particular, says that by pairing the bars with Ergon grips the bumps and shocks became greatly lessened. You will find more joy in riding down trails at breakneck speeds with the extra control that comes with these bars. 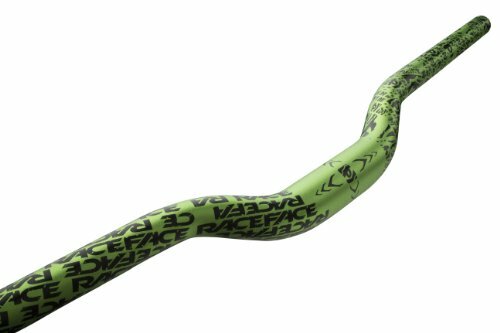 If you’re looking for a pair of strong, affordable carbon bars, then the Race Face Next should be at the top of your list. In comparison to other bars in its category, they certainly give the best value for money. Easton has spent considerable time and money on fatigue testing and impact testing this handlebar, and the result is a handlebar that is superior to its counterparts when it comes to strength-to-weight ratio. The bigger bar torso permits for a thinner taper, and ultimately a much lighter bar. By shaving off some grams while lengthening the width of the bar, the makers of the Easton Haven 35 Carbon Handlebar have effectively created a bar that is arguably one of the strongest and most durable in the market. These are extremely favorable characteristics for XC. The bars are stiff, light, and yet compliant enough for you to navigate those tricky trails with ease. This is especially great news for the adventure junkies who want to maximize the overall performance of their mountain bikes. There are a lot of concerns from customers about the width of this bar, though, with some expressing the desire for a full 800mm length so that they could have the option to trim it themselves. 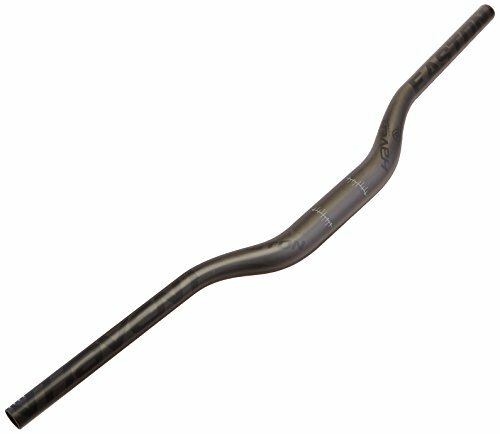 Although the Haven 35 bar is aimed at trail riders, most customers found it somewhat disappointing that the handlebars are only 750mm wide. While it’s not a deal-breaker, most people would opt for a wider span. There is so much positive stuff to say about these bars! This unique light-weight handlebar from BEIOU enters a new realm of value for money. This was made with serious outdoor enthusiasts in mind, and it has all the qualities that you’ve come to expect from this brand like the durability, comfort and lightweight features. The precise manufacturing process of this bar means that its dampening qualities are superior to a lot of other bars in its category. Some customers report zero issues after 6 months of heavy use. This carbon fiber bar weighs in at a feathery 150g with a width of 720mm which makes it ideal for maximizing control on those rugged trails. All in all, this is a super-light, super-strong bar that makes for a great investment that will last you for years to come. Your favorite handlebars just got even better! The engineers at Race Face have brought us something even better than we expected. 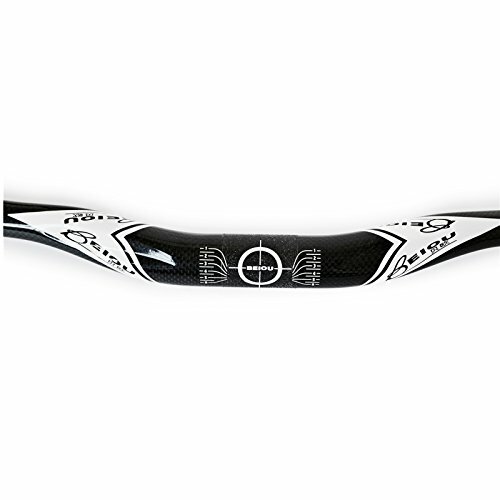 The Race Face Atlas mountain bike handlebar is made with cold-drawn, seamless aluminum of the very best quality. They have managed to increase the durability and strength of this bar without compromising on weight. The width is an impressive 785mm giving riders even better levels of control on those challenging trails. 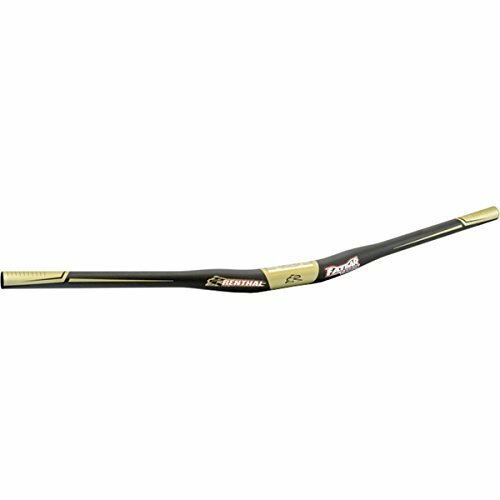 Ideal for light Enduro use, this bar has rise of 32mm and weighs about 340g. There are a lot of 5-star reviews for this product, with most users expressing their appreciation of the bar’s well-designed shape that fits the geometry of their wrist perfectly. Other customers loved the feel of the handlebars on the trail. These bars come in a range of beautiful colors including blue, gold, black and green. They also come with a Race Face 3-year warranty. This is a great looking bar from creators who mainly specialize in machinery and industrial design. They pride themselves on the high quality and durability of their products, as well as an exceptional aftermarket service! Their brand logo is noticeably laminated on the side of the bars. It comes in at 800mm and has super convenient marks on either side so that you never make a mistake when you’re cutting it. The handlebars are extremely lightweight and will look really great on your bike. For those of you who love tackling the kind of trails that would make your fellow mountain bikers cringe, this is the ideal bar for optimum strength, control and agility. The makers of this bar are so confident in the quality of their work that they also sponsor Downhill, 4x and Enduro races all around the world! One customer who needed riser bars to correct a shoulder geometry issue found that these bars not only worked perfectly, but they also proved more durable than other bars in the same price range. Other customers all report that they have found this particular handlebar to be of the highest quality and it does all that it promises and more. Whether you want these handlebars to tackle a rugged trail or for a week-long bike tour, these bars from Nashbar with extra hand positioning options are perfect for long rides. They are made of aluminum which is durable and light and makes for a more responsive feel. They come in at 580mm at the wide point and 550mm at the narrow cross-section. This makes them ideal for easy navigation, extra control and ease of use. If you have been suffering from aching hands after only a brief period of riding, you will be amazed at how long you can go once you upgrade your handlebar to the Nashbar Trekking Mountain Bike Handlebar. These bars are specifically designed with that in mind, and they provide extra placement options for your hands to make it that much easier on those epic long rides even over bumpy surfaces. Most riders found the bars to be most comfortable when in a horizontal position parallel to the ground. Depending on what type of hardware you have, it’s worth noting that the handlebars have a small protuberance where the clamp is supposed to go. 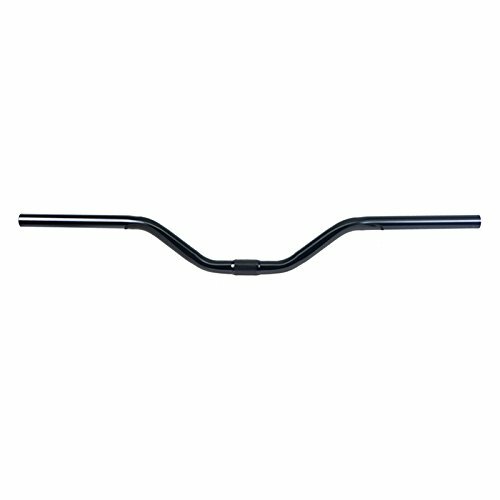 This is a heavy-duty low-rise handlebar made from the best grade aluminum that comes with a beautiful finish. It’s the perfect shape to provide extra comfort and ease while riding These bars work particularly well for moderately upright riding positions. At a width of 630mm, they are wide enough for you to mount a lot of stuff like GPS, bell, brakes, lights, storage bags and so on, making this is a solid option for anyone looking to upgrade their handlebars for more strength, control and durability. There are a lot of very satisfied customers who left glowing reviews about this product. 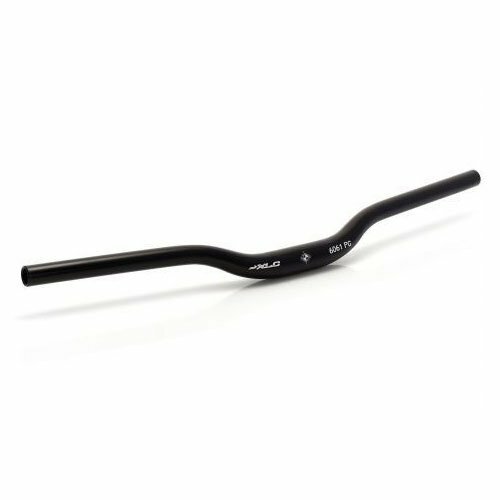 At this price, there aren’t many handlebars that can compete with the XLC Riser-Bar when it comes to quality, strength and stability. These bars will make a great addition to any mountain bike and they will improve its handling and comfort instantly. The features and benefits of this handlebar rival even some of the bars that cost twice the price. You may have to trim the flanges of the grip end caps to insert into tube ends because of thicker tube wall inside dimensions and smaller bar end diameter. These handlebars have some impressive specs and also come with laser-etched graphics. They weigh only 280g and have a double butted alloy construction. With a 40mm rise, these origin 8 Pro Rise All Mountain Handlebars are perfect for any kind of trail you want to master. They come in two different colors, and the standard grips fit this bar perfectly which makes for easy replacement. These bars are very lightweight, and durable and make for an easy ride. As soon as you install these new handlebars, there is an immediate and very noticeable difference in the way your bike handles and feels. Great for those who commute daily and have to fight to get through city traffic. In addition to improving the way your bike handles, these bars will help your posture while also giving you a wide stance for better steering. This handlebar is great for those looking for a more comfortable casual ride rather than the break-neck speed rides down steep mountain trails. One of our customers had a problem with a mountain bike that was making him ride with his torso too low, and after swapping the handlebars on that bike, now the posture rides more upright and comfortable. 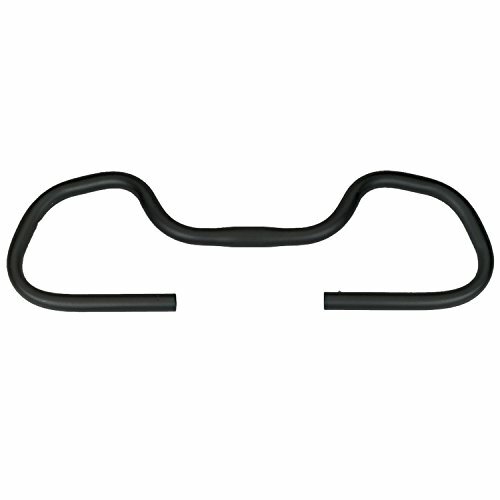 This handlebar also comes with a 3.5 rise which helps with back pain for a lot of riders by lessening the strain on the lower back. The Sunlite MTB/City Steel handlebars provide all those benefits and still manage to be affordable, lightweight and durable. Their width is long enough to mount much of the necessary hardware like brakes, lights and other stuff while still maintaining ease of use and maximum control. All in all, most of the product reviews online for these bars are positive and come from extremely satisfied customers. These handlebars won’t take much of the abuse of a hard trail but for lighter use, you’ll be hard-pressed to find bars that provide greater value for money. Bars are a seriously personal choice, and everyone has different preferences on width sweep, rise, and styling. If you’re in the market for some new handlebars, there are some things you need to know before buying. Use this guide to ‘steer’ you in the right direction and make sure that you invest only in the best. It contains a breakdown of all things to consider when selecting mountain bike handlebars so that you get the right pair to suit your needs. You have a choice of either metal or carbon fiber for your handlebars. These days, more people are gravitating toward the lighter alloys than the previously popular Chromoly steel. Carbon fiber and aluminum offer all the same benefits, but carbon fiber comes in at a much lower weight. There are different types of alloy available, and most are strong, light, and offer basically the same benefits. The type of alloy you choose isn’t nearly as important as the dimensions, though. Carbon – Upgrade from steel to carbon fiber and feel the difference in comfort. Carbon is a lot lighter and has compliance properties, which means it’s rigid and strong, and yet it can effectively absorb or dampen vibrations and impact better than a lot of its steel bar counterparts. Titanium stands out from the previous two materials because of its unique properties. It’s twice as strong and is highly resistant to fatigue. It’s ideal for making handlebars which are durable and safe. Wide handlebars help you to spread your weight evenly over the front wheel, which makes steering inputs need less force. The amount of rising is another factor to consider. Rise is measured from the center of the bar to the top of the upward bend. Handlebars come in two basic types: Rise and Flat. Mountain bikers mostly prefer a rise bar because it effectively shifts the center of gravity further back making it easier for them to lift the bike over rough terrain. 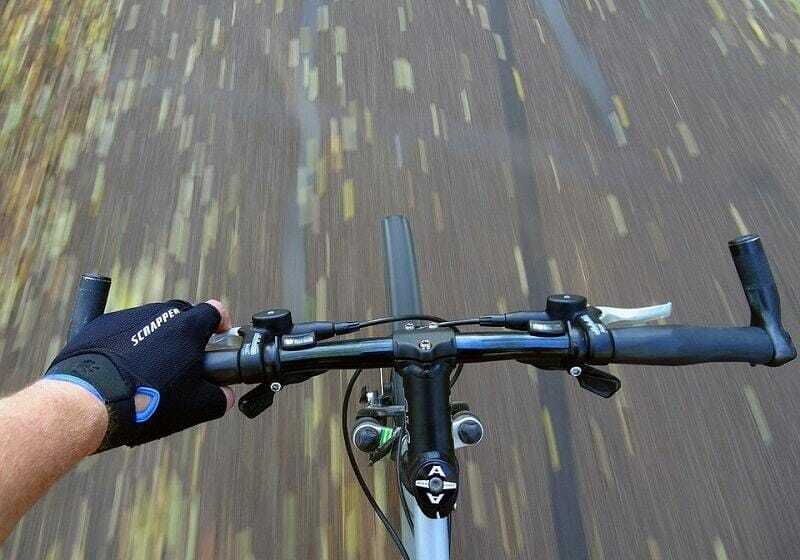 You need a handlebar that is perfectly designed to give you a more natural grip position for your hands. Last, but definitely not least, consider comfort levels. As previously stated, you need a pair of handlebars that will afford you the most comfort and ease of use. If you are like most of us, you obviously want a bike that has a bit of bling to it. It’s an added bonus to have handlebars that not only perform well but also look great doing so. The handlebars on your bike have a lot of force applied to them as you ride down uneven gradients, rail corners, land drops and jumps. They offer you feedback that helps you make small and big adjustments while you’re riding. The handlebars you choose not only have to support your weight as you ride through all kinds of rigorous terrain, but they also have to be comfortable to use. Use the mountain bike handlebar reviews and buying guide to help you make the right decision when it about to choose the best mountain bike handlebars that will have the best effect on your riding comfort and ease of handling.